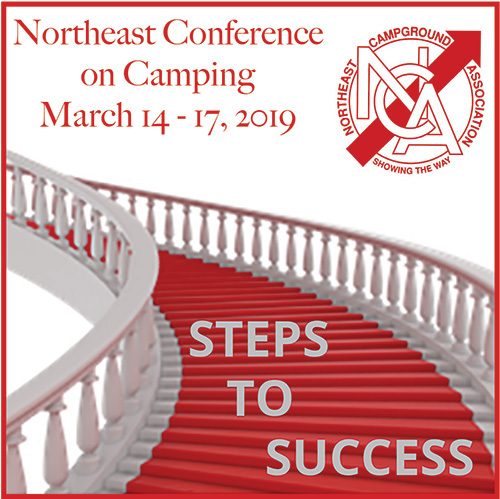 Join NCA as we host the 55th Northeast Conference on Camping and Trade Show! to ensure you receive our $109/night discounted rate. You may also call the hotel directly at 1-978-777-2500 mentioning the Northeast Conference on Camping to ensure the NCA rate. Please call Cyndy at (860) 684-6389 for more information. The Northeast Campground Association is pleased to announce that the 55th Annual Northeast Conference on Camping will take place at the beautiful DoubleTree by Hilton Hotel / Boston North Shore. Here you will enjoy affordable room nights, ample free parking, a short drive to/from Boston’s Logan Airport, a comfortable conference setting, expanded Trade Show area in one room, the TradeWinds Restaurant, Starbucks at The Market, onsite CoCo Key Waterpark, Atlantis Spa & Salon and much more.